HydraDill is a 3oz pickle juice drink. 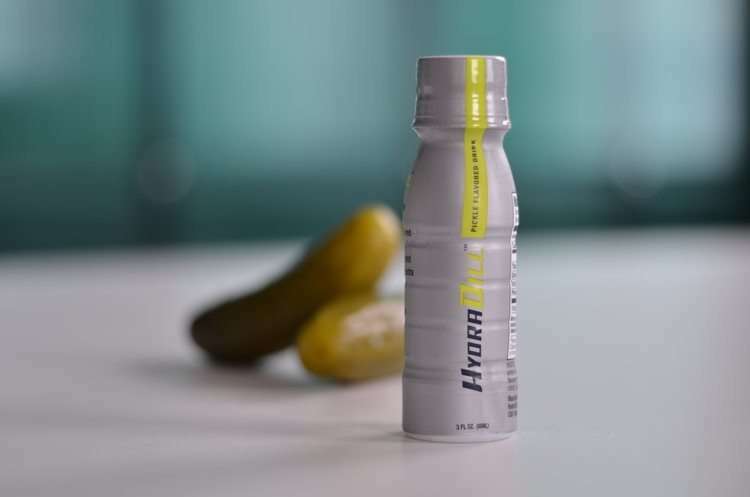 HydraDill Pickle Hydration is the all-purpose hydration solution, helping people replenish electrolytes and stay hydrated longer. A great recovery aid, with its concentrated Sodium formula for water retention and high Vitamin C for various muscle healing benefits, HydraDill is the real deal. POST-WORKOUT, PREMIUM HYDRATION, REPLENISH VITAL SODIUM LEVELS, MINIMIZES MUSCLE CRAMPS, AND FATIGUE RECOVERY. Also, great for hangover recovery aid. HydraDill comes in a 3oz and a 25ounce bottle.